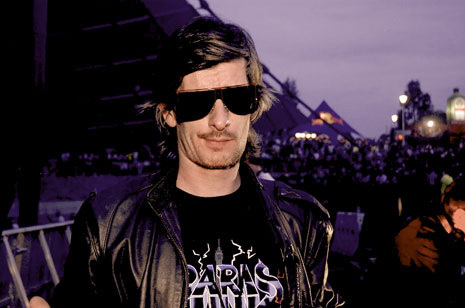 If legend is to be believed, Kavinsky is the world’s best-known zombie DJ and musician. “Killed when he crashed his Ferarri Testarossa in 1986, his records are the story of his first steps in the world of the living dead,” reads the bio. Others will tell you Kavinsky is the alias of Vincent Belorgey, protege of French beatmaster Mr Oizo (“Flat Beat”), friend and tourmate of Daft Punk and the Ed Banger crew, and producer of some of the most exciting electronic music out today, updating vintage Moroder and Miami Vice sonics for a new generation of distortion-loving club kids. 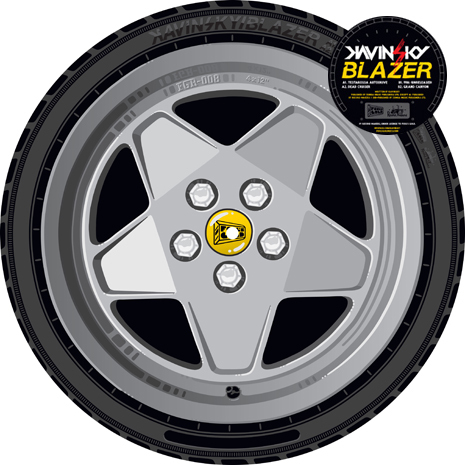 His Fool’s Gold single Blazer collects new music as well some of his biggest tracks on a single slab of Dust La Rock-designed pic disc vinyl – the definitive Kavinsky record!